Mrs. Wilma Jean West, age 83, of Jasper, passed away Thursday, March 21, 2019 at her home. Mrs. West was born October 16, 1935 to Homer and Roberta Johnson in Fairmount. She was a member of Salem Baptist Church. 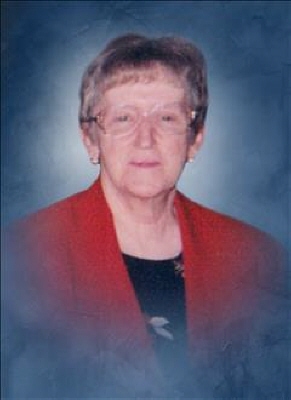 She is survived by her sons and daughter-in-law, Max West Jr. of Jasper, Alex and JoAnn West of Jasper; daughters and sons-in-law, Janice Atkins Payne of Jasper, Maxine and Johnny Parrish of Jasper, Tina and Randy Pinyan of Jasper; eight grandchildren; 14 great-grandchildren; brother, Robert Johnson of Alabama; sisters, Sue Gibson of Fairmount and Margie Nell Johnson of McDonough. Several nieces, nephews, and other relatives also survive. She was preceded in death by her husband, Max West Sr.; brothers, Hubert Johnson, Edward Johnson, Thurston Johnson; and sister, Betty Keener. The family will be receiving friends at Roper Funeral Home, Friday, March 22, 2019 from 5:00 p.m. until 9:00 p.m.; Saturday, March 23, 2019 from 9:00 a.m. until 9:00 p.m.; and Sunday, March 24, 2019 from 9:00 a.m. until 2:30 p.m. The Funeral Service will be 3:00 p.m., Sunday, March 24, 2019 at Salem Baptist Church with Reverend Buck Parker, Reverend Bryan Prance, and Reverend Frankie Ellis officiating. Interment will follow in the church cemetery. To send flowers or a remembrance gift to the family of Wilma Jean West, please visit our Tribute Store. "Email Address" would like to share the life celebration of Wilma Jean West. Click on the "link" to go to share a favorite memory or leave a condolence message for the family.